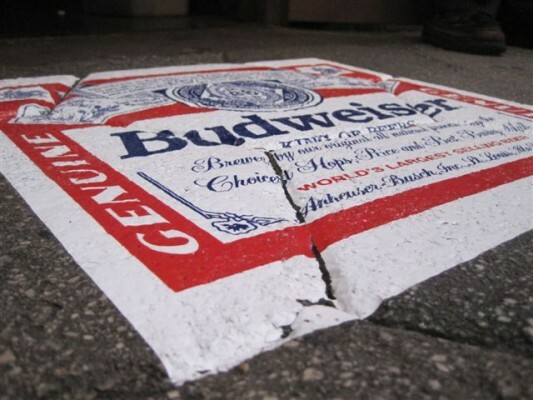 These removable asphalt and store graphics are the first cleanly and easily removable film media for indoor and outdoor use! These walkway and concrete graphic film coverings are environmentally safe, easily to dispose of and removal is accomplished in seconds with our high adhesion removal tape or by high pressure washing away. The thin profile allows the material to conform to the surface texture, giving the appearance of a painted graphic rather than the thick, flat look of laminated products. This conformability helps eliminate the slip hazard associated with regular floor graphics by conforming to the texture of the surface. Our films exceed Coefficient of Friction requirements. Click Image Above for a Quote!